This newest tart features St. Nick, ice skating with his little frozen friend, and offering a helping hand with decorating a tree. Optional trim: Vintage chenille by Lady Dot Creates. 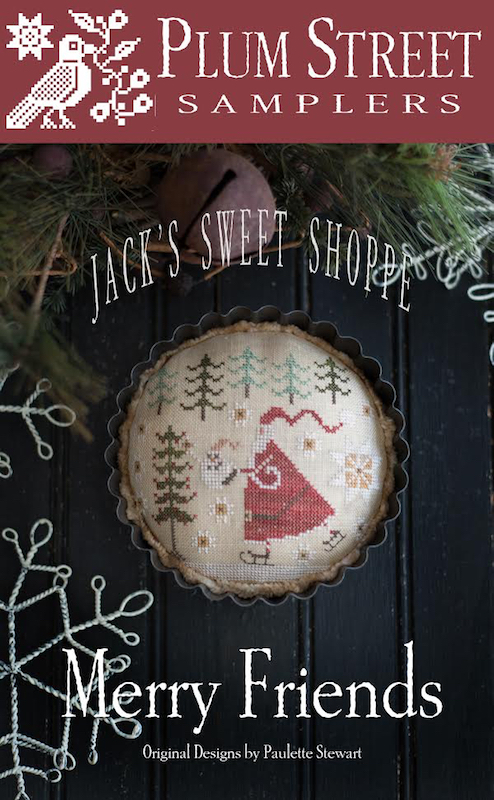 Stitches used in this design are cross stitch over two threads and some backstitching on Santa's ice skate blades.